For a decade, Josh has championed clients’ rights in state and federal courts, arbitrations, and mediations across the country. Those clients have ranged from Fortune 500 companies to small businesses and executives. His pursuit of their interests has led him to prosecute and defend against claims for accounting fraud, product liability, misappropriated intellectual property, breach of fiduciary duty, and discrimination, among many others. He also has successfully obtained and defeated TROs and preliminary injunctions. 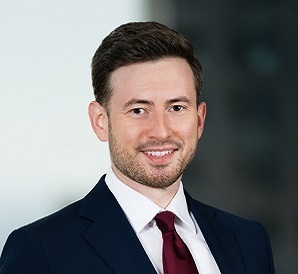 Before joining the Firm, Josh developed his skill set at Kirkland & Ellis LLP and former litigation boutique Grippo & Elden LLC. At Grippo & Elden, he was the Associate Chair of the Electronic Discovery Resource Group, where he helped manage the firm's training and research on e-discovery. He uses and builds on this experience to help clients navigate discovery issues and limit costs before and after a dispute arises. Josh also has served a variety of pro bono clients, including representation of mentally ill patients in a large class action suit and the defense of a wrongfully convicted inmate seeking post-trial DNA testing. He happily devotes his free time to his wife, daughters, and three-legged rescue dog.